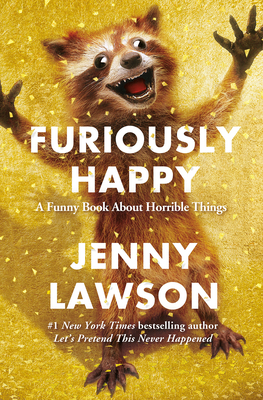 "Some people might think that being 'furiously happy' is just an excuse to be stupid and irresponsible and invite a herd of kangaroos over to your house without telling your husband first because you suspect he would say no since he's never particularly liked kangaroos. And that would be ridiculous because no one would invite a herd of kangaroos into their house. Two is the limit. I speak from personal experience. My husband says that none is the new limit. I say he should have been clearer about that before I rented all those kangaroos. Lawson is beloved around the world for her inimitable humor and honesty, and in Furiously Happy, she is at her snort-inducing funniest. This is a book about embracing everything that makes us who we are - the beautiful and the flawed - and then using it to find joy in fantastic and outrageous ways. Because as Jenny's mom says, "Maybe 'crazy' isn't so bad after all." Sometimes crazy is just right.